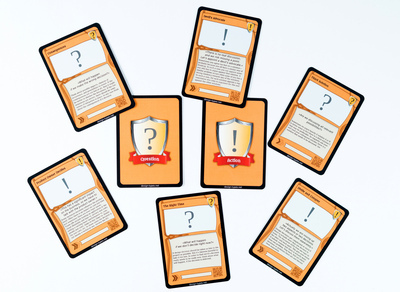 Each argument card contains name and abbreviation of the principle as well as a short and a more detailed description. 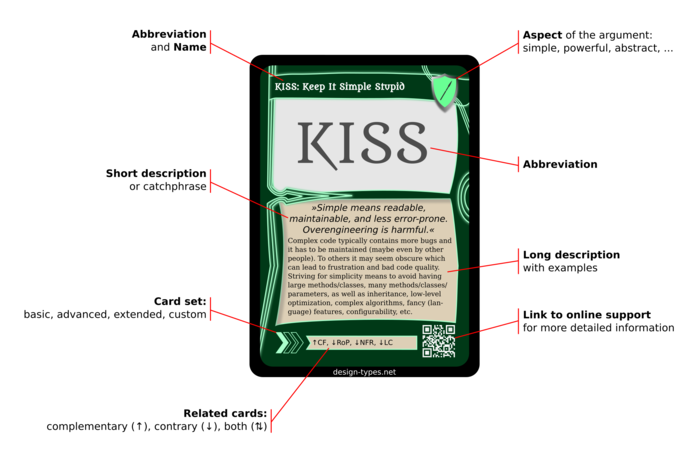 There are links to related principles, and an online version of the card with further information. The 54 cards of set set are divided into a basic and an advanced set (distinguished by a symbol on the bottom left). 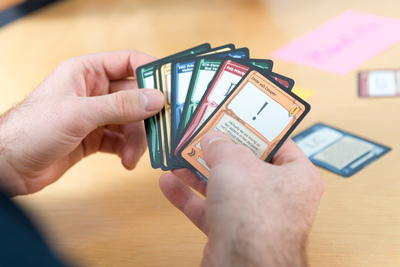 So you can start learning and using the cards with the basic set and add or exchange more cards step by step. Sometimes just naming arguments for or against a solution is not enough. You can easily get on the wrong track or a discussion reaches a dead end. In those cases it is helpful to reflect the state of the discussion itself. Question cards help reflecting and action cards help resolving a discussion. Focusing on all 54 cards at once can be quite unhandy even if you are familiar with all the cards. So you should build individual decks containing those 10–20 cards you want to use. Most likely you will have different decks for different circumstances, e.g. one deck for high-level architectural decisions and another one for code reviews.